3.) Chester & Hester’s Dinosaur Treasures – Another popular location in Disney’s Animal Kingdom is Dinoland which was taken over by the Dino Institute after prehistoric fossils were found in the area. The most popular experience in the location is Dinosaur where guests can travel back in time and come dangerously close to the impact of a massive asteroid while trying to save one particular dinosaur. 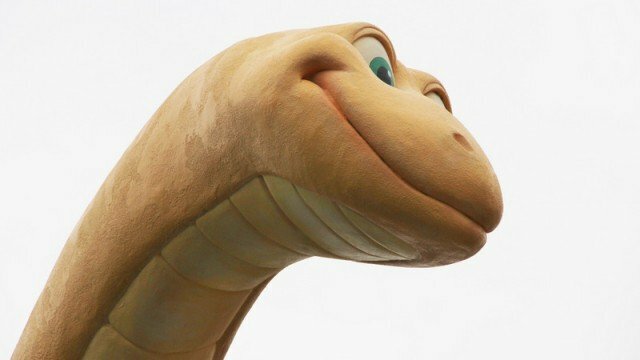 After enjoying the experience, guests emerge back into Dinoland by passing through Chester & Hester’s Dinosaur Treasures. This quirky gift shop features a unique combination of typical Disney theme park items in addition to unique toys, accessories, clothing, and more. The rafters of the store are also adorned with plenty of props and toys making it seem like a lively and fun location. Found within the store are also two pressed penny machines with six designs for guests to choose from. Guests can opt for the Tree of Life with the year 2018, an Iguanodon and the words Disney’s Animal Kingdom, the park’s name and a Carnotaurus, Terk from Disney’s Tarzan, the park’s logo with Mickey dressed as a paleontologist, and Scar from the Lion King.